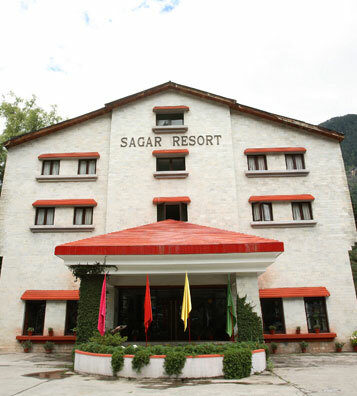 Accommodation: Sagar Resort Manali is delightfully enclosed by snow capped mountains and vales from all the sides and its propinquity to the hill station’s downtown area really makes it worth-choosing by both leisure and business vacationers. It has 50 rooms to accommodate you which are tastefully designed and are thoughtfully filled up with hottest room amenities so that whenever you come to Manali, you feel inspired to book a room in it as your most wanted accommodation. The Restaurant: It is indeed a place to relish and take delights in delectable lip-smacking delicacies. The Coffee Shop: Whereas, The Coffee Shop of this hotel is a cozy lounge that platters crispy snacks and beverages. Business Facilities: The spacious business hall of Sagar Resort Manali is en suite with latest business gadgets and doodads in form of wi-fi with internet connection, projector, broadband, 24-hrs secretarial service, travel desk, fax on demand, telegraph, courier service, mobile on rent, banquet hall, photocopy machine, and instant facsimile which really help the business guest to continue with their business meet in a hassle-free manner. Recreational Facilities: The recreational facilities offered by this popular resort of Manali are: Bonfire, Jacuzzi, meditation, yoga courses, sauna, high-tech Health Spa, nature walk, tennis court water sports, badminton, jogging ground, basket ball, cycling, golf, billiards, library, swimming Pool, fitness centre, chess, shopping alley, excursion trips, indoor games, children playground, sauna and steam room, etc. Other Facilities: Taxi service, parking facility, airport/railway station transfer, handicap facilities, wheelchair access, luxury bus booking, currency exchange, baby care facility, private parking, doctor on call, safety vault, doorkeepers, generator, etc.